Merry December 18th, my friends! Today is the day I always take a few minutes to reflect on how lucky I am to have a great husband, awesome kids, a the job I've always wanted--and to just plain be alive. Today marks the 9 year anniversary of the day I lived, and the 3 year anniversary of the day I received the offer from my publisher to buy THE DARK DIVINE. I still have to pinch myself sometimes to make sure I'm not just comatose in a hospital bed somewhere having a really good dream. And did you know it's now less than 3 months until THE SAVAGE GRACE comes out on March 13th? Seriously, I can't wait. Lindsey, email me at readbree (at) gmail (dot) com and I'll email you your gift-card. Enjoy what's left on December 18th, and every other day you can. But be sure to come back here after you enter Egmont's contest, and then tell me you did so in the comments of this post, because I'm giving away a $15 Amazon gift-card to one lucky entrant! That's right, all you have to do to enter to win the $15 gift-card is enter Egmont's Facebook giveaway, and then come back here and tell me you did so in the comments of this post. My personal giveaway is open until 11:59 pm on Saturday, December 17th. I'll announce winners the following day. Also, my contest is open internationally. Okay. Have fun entering the contests. I will think of it all fondly as I'm scrubbing some more puke out of the carpet. And then hopefully I'll get to take a nap. KidA managed to throw up on 25 minute intervals all night long last night. I think I might be a little bit delirious. 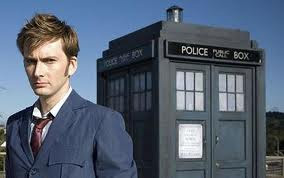 Hey, wait, is that David Tennant in his TARDIS, beckoning me to take a ride with him to the Land of Nod? Winter YA Scavenger Hunt Winners! The YA Scavenger Hunt was a rollicking success! I hope you all had a fun time, and got a chance to read the exclusive sneak peek of THE SAVAGE GRACE. 1. Attending the Holiday Party hosted by The King's English Bookshop this Thursday (December 8th) between 5:30-7:00 p.m. to mingle with (and buy signed books) with tons of fabulous authors. For more info, click HERE. 2. If you can't attend the party, you can still order books from the King's English by December 8th, and I will sign and personalize them for you--and the bookstore will then ship them to you! Give them a call at 801-484-9100 to place an order for signed books. 3. I'll be signing at a Holiday book festival hosted at the Orem Library on December 17th from 12-2 p.m. Again, there will be lots of awesome authors in attendance, so you won't want to miss it. Now on to winners . . . The winner of the YA SCAVENGER HUNT grand prize is: Sandra Lin of Australia! Devinne, please email me at readbree@gmail.com in order to claim your prize. If I don't hear from you in 30 days, I'll assume you don't want it, and give it to someone else. Thanks everyone! The YA Scavenger Hunt will be back in April for more fun, prizes, and bonus material. The YA Scanevger Hunt Returns!!! Welcome to the Winter YA Scavenger Hunt! The Hunt is a huge, multi-author project with contests, awesome prizes, and exclusive bonus material galore! The hunt begins on December 1st at Noon and ends on Sunday at Noon (Pacific time)--so don't delay joining in on the fun. This is truly a unique sneak peek into what’s coming up in YA literature! Each author who is participating in the YA Scavenger Hunt will host one of the other participating authors, providing you with his or her bio, book(s), and special super exclusive bonus material. You can also enter to win the YA SCAVENGER HUNT GRAND PRIZE that includes a special gift from each of the 37 participating authors!! Rules and directions for how to enter will come later in this post, so keep on reading. But wait, there's even more than that! As you visit all the stops on the YA Scavenger Hunt, you will notice that many of the authors are hosting their own special giveaways in addition to the grand prize. Including me! (See the bottom of this post for how to enter to win me exclusive giveaway.) So, be sure to check out everyone’s page in the Hunt! Inara was born in the winter wonderland of Buffalo, NY. She promptly commenced complaining about being cold, and didn’t stop until she moved to Durham, NC, to attend college at Duke University. After graduating with a degree in History and Women’s Studies, Inara wandered around the country teaching outdoor education and writing bad poetry, and eventually found herself at law school in Portland, Oregon. Inara practiced law for ten years before screwing up the courage to quit her day job and devote herself to writing and teaching. Today, Inara writes anything and everything, including children’s books, young adult fiction, and adult romance. 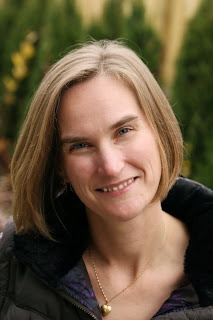 Her debut novel, DELCROIX ACADEMY: THE CANDIDATES, published in 2010 by Disney-Hyperion Books for Children, was a 2010 Oregon Spirit Book Award Honor Book. All of her life, Dancia Lewis has wanted to use her powers for good. And now that she’s learned the truth about Delcroix Academy—and herself—she may just get the chance. But being part of Delcroix’s top secret Program isn’t anything like Dancia expected. She has to ask herself: what happens to the Talented kids who refuse to pledge their loyalty to the Program? And why did her friend Jack run away rather than join? Dancia’s boyfriend Cam insists they need the help of every Talented student to defend Delcroix from dangerous enemies outside their gates. But Dancia has to wonder: what if Delcroix’s most frightening enemies come from within? 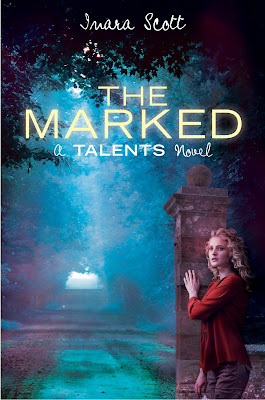 I’d been watching her for weeks – months, really, if you count all the time I spent watching her talent marks, without knowing exactly what I was seeing. At first, I saw little puffs of color, or strange worm-like shapes crawling through the sky. We’d drive around but it was hard to pin down the source. Talent marks usually stay with the person who makes them, or linger right where the talent has been exercised, but these were different. They hung over houses, a restaurant in downtown Danville, even the middle school. Mr. Judan had us all on guard, just in case it was someone dangerous. Then one day I saw something explode across the sky, like the image of a firework appearing, and then slowly fading from view. I was at Delcroix, sitting on the lawn with Anna and Trevor. School was almost done for the year, and we were all starting to panic about exams. I’d been studying so much I thought maybe I’d finally started to hallucinate. But no, it wasn’t a hallucination: it was a mark. The biggest talent mark I’d ever seen. The colors and shapes fit together so beautifully, I knew at once that it couldn’t be more than one person. And the strength of it? Well, that was the remarkable part. Level two talents rarely left behind a mark– when they used their talent they might have a temporary aura, a barely visible glow around their body. Level threes always left something behind, usually for thirty minutes or more. But I’d never seen anything like this. This mark had been broadcast across the sky, creating a swath of color a mile wide. That night, they broke the story on the evening news: a local girl, defending her grandmother, had leaped at a man with a gun, preventing tragedy from striking at the Central Danville Hospital. We guessed the truth was something far different: the man had been pushed. And not by any physical force. By the girl’s mind. By seven am the next day we were Watching her. No one, not even Mr. Judan, could believe what we’d found. A level three talent? Untrained? Right under our noses in Danville? We needed to bring her to Delcroix. For everyone’s protection. We paid our recruiting visit a few weeks later. The girl’s name was Dancia Lewis. She lived with her grandmother in a tiny brown house on a street cluttered with broken-down cars and weedy lawns. Dancia’s grandmother met us at the door. She was a tiny thing with white hair and thick makeup on her cheeks and eyes. Dancia had light blonde hair that fell in tight ringlets around her shoulders. I’d seen her before, with the other Watchers, but hadn’t seen her up close. When she finally looked me in the face, I froze. She was beautiful, powerful, and terrified all at once. All I could think was, how could they have missed it? How could they look at her and not know what she was capable of? Mr. Judan’s deep voice snapped me out of my reverie. “Call me Cam,” I said, pasting on a smile. I held out my hand, waiting for her to shake it. She looked nervous, and it took a second for her to reach out. “Glad to finally meet you, Dancia,” I said. Our hands made contact for the first time, and the shock took my breath away. Normally, the first time I touch someone with the potential to become a level three talent, I get a little tingle. It feels more like an emotional connection, as crazy as that sounds, than any real physical connection. But not with Dancia. When our hands met I felt an actual current rush between us, like she was calling out my energy and I was doing the same to hers, and the result was a channel of power and heat. She dropped my hand and winced, obviously feeling the same thing as me. I let some of my persuasion flow, though I didn’t have anywhere near the power that Mr. Judan did. I wanted to let her know it was all right. I tried to tell her with my eyes that she was going to be fine. Somewhere in that current between us I felt her loneliness, and it ripped at my heart. But really, what could I say? It wasn’t like we were going to be honest with her. It wasn’t like she could trust us. The lies were just beginning. I only hoped she wouldn’t hate me too much, when she found out the truth. You can purchase her books by clicking HERE or HERE. And now it's time for giveaways!! As an extra bonus we’ve put together a puzzle with one keyword found on each website. Complete it and you will be eligible for a fantastic GRAND PRIZE which will include signed editions of books, signed bookmarks, jewelry, and many more exclusive gifts with at least one gift from ALL 37 PARTICIPATING AUTHORS! A. From Inara's exerpt above, what color of hair does Danica's grandmother have? B. [As you go through the YA Scavenger Hunt, keep a look out for my special bonus material. (An exclusive excerpt from THE SAVAGE GRACE.) Find the answer to this question by reading the excerpt.] When Grace's father forbids her from returning to the warehouse, where does Grace announce she's going to go to instead? Rules: 1 entry per person, contest ends at Noon (pacific time) on December 4th, 2011. The winner will be announced the next day. Winner must claim their prize within 30 days. Contest is open internationally. Be sure to email your entry to readbree@gmail.com and NOT give your answers in the comments of this post. Ready to move on to the next stop in the YA Scavenger Hunt?? As it is now December 1st, I need to announce the winner from our Full Moon Extravaganza #2. Using a super complicated selection process involving, charts, graphs, number assignments, and a random selector, I can now say . . .
Paige won a bunch of cool books by helping to spread the word for the Kids Need to Read fundraiser... which incidentally is still going on. See the side bar for how you can participate. The winner needs to email me at readbree(at)gmail(dot)com with your mailing address within 30 days to claim your prize. Otherwise another lucky winner will be chosen. Thanks everyone who bought a copy of THE LOST LETTERS OF BROTHER GABRIEL and helped spread the word about Kids Need to Read.